She felt blessed by her life within a remarkable matrix of musicians, song-writers & performers on the creative edge of folk, rock and blues. 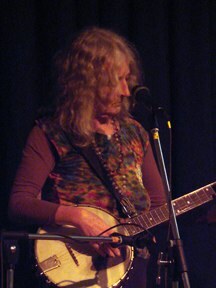 Through their influence she developed a unique style on banjo & guitar which supported her songwriting talents and powerful stage presence. She was born on Manhattan Island during World War Two, the first child of an engineer & an artist who were then blacklisted during the McCarthy era. Antonia Lamb discovered beatniks, science fiction, music, theater, dance and a passion for equal rights while growing up in Texas. In 1967 she & her two very young children moved to Hollywood. She continued writing, became an “astrologer to the stars” and met folk legend Bob Gibson. He traded banjo lessons for a horoscope and became a lifelong friend & fan, giving her the Vega longneck banjo (formerly Johnny Horton’s) which she played for the rest of her life. Soon after, Antonia Lamb began performing at L.A. area folk clubs. In 1971 her song Morning & An Oldsmobile appeared on Judy Mayhan’s legendary Decca album. 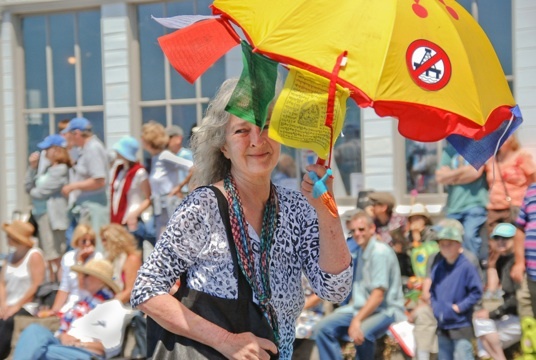 Nudged by ex-Byrd Gene Clark, she moved to Mendocino, CA, part of a musical/tribal migration of friends including Ramblin’ Jack Elliott, Gene Parsons, the Cat Mother & Grateful Dead families, the Bob Gibson clan, and many others. In 1978 she made her first album, Easy to Love Her, on her own independent label. Amazing Tracks came out in 1996. Gamma was released in 2006, followed by Lucky’s House in 2008. She put out Banjo Grandma in December 2010 and her last, Carry Me Away, was released in early 2012. She danced with the Houston Symphony as part of the Houston Foundation for Ballet, was an apprentice at the Alley Theater, and became involved with the civil rights movement.